Burial Joseph Cooper was buried at Tharwa Road Cemetery, Queanbeyan, NSW, AustraliaG. Birth 1851 He was born in 1851 at Molonglo, Australia. He was the son of James Cooper and Martha Witts. Death 20 September 1943 Joseph Cooper died on Monday, 20 September 1943. Birth 1854 Ann Cooper was born in 1854 at Queanbeyan, NSW, AustraliaG. She was the daughter of James Cooper and Martha Witts. Death 20 August 1914 Ann Cooper died on Thursday, 20 August 1914 at Queanbeyan, NSWG. Birth 1856 James Cooper was born in 1856 at Queanbeyan, NSW, AustraliaG. Death 1866 James Cooper died in 1866. Birth 1858 William Cooper was born in 1858 at Queanbeyan, NSW, AustraliaG. Death 4 December 1891 William Cooper died on Friday, 4 December 1891 at Queanbeyan, NSWG. Burial Ellen Cooper was buried at Tharwa Road Cemetery, Queanbeyan, NSW, AustraliaG. Birth 1863 She was born in 1863 at Queanbeyan, NSW, AustraliaG. Death 24 September 1952 Ellen Cooper died on Wednesday, 24 September 1952 at Queanbeyan, NSWG. Birth 1865 Sarah Cooper was born in 1865 at Queanbeyan, NSW, AustraliaG. Death 28 September 1956 Sarah Cooper died on Friday, 28 September 1956 at Tharwa Road Cemetery, Queanbeyan, NSW, AustraliaG. Birth 1869 James Cooper was born in 1869 at Queanbeyan, NSW, AustraliaG. Death October 1963 James Cooper died in October 1963 at Windsor, NSW, AustraliaG. Marriage William was married to Mary Gardiner. Marriage Mary was married to William Witts. Married Name Her married name was Witts. Birth 1809 Mary Brown was born in 1809 at ScotlandG. She was the daughter of Alexander Brown and Mary Hart. Marriage 13 October 1833 Mary was married to John Patrick on Sunday, 13 October 1833 at Lanark, ScotlandG. Death 10 January 1895 Mary Brown died on Thursday, 10 January 1895 at New South Wales, AustraliaG. Married Name 1833 As of 13 October 1833, her married name was Patrick. Birth circa 1806 Margaret Brown was born circa 1806 at ScotlandG. Marriage 25 May 1834 Margaret was married to Reverend John Hill Garven, son of Andrew Garven and Mary Gudge, on Sunday, 25 May 1834 at Lanarkshire, ScotlandG. Death 13 April 1842 Margaret Brown died on Wednesday, 13 April 1842 at Hart Hill, NSW, AustraliaG. Married Name 1834 As of 25 May 1834, her married name was Garven. 1834 Margaret Brown was a passenger aboard The Ship James which sailed from London, EnglandG, in 1834 and arrived in Port Jackson, Australia, on 17 November 1834. Birth 1807 Janet Brown was born in 1807 at Lanarkshire, ScotlandG. Marriage 13 September 1850 Janet was married to Joseph Chidgey on Friday, 13 September 1850 at St Andrew's Church, Sydney, NSW, AustraliaG. Married Name 1850 As of 13 September 1850, her married name was Chidgey. [S2] Index of BDM records, NSW BDM, Place of Registration: Marrickville; Registration Year: 1894; Registration Number: 8182. [S2] Index of BDM records, NSW BDM, Place of Registration: Sydney, St Andrews Scots Church; Registration Year: 1848; Registration Number: V18487734 45C. Birth 1811 Catherine Brown was born in 1811 at ScotlandG. Marriage circa 1843 Catherine was married to John Stephens circa 1843 at Maitland, NSW, AustraliaG. Marriage circa 1852 Catherine was married to John Berry circa 1852 at Maitland, NSWG. Death 15 June 1891 Catherine Brown died on Monday, 15 June 1891. Married Name 1843 As of circa 1843, her married name was Stephens. Married Name 1852 As of circa 1852, her married name was Berry. [S2] Index of BDM records, NSW BDM, Place of Registration: Maitland/Hunter/Morpeth; Registration Year: 1844; Registration Number: V18442574 31A. [S2] Index of BDM records, NSW BDM, Place of Registration: Maitland/Hunter/Morpeth; Registration Year: 1846; Registration Number: V18462575 31A. [S2] Index of BDM records, NSW BDM, Place of Registration: Maitland/Hunter/Morpeth; Registration Year: 1848; Registration Number: V18482684 33A. [S2] Index of BDM records, NSW BDM, Place of Registration: Maitland/Hunter/Morpeth; Registration Year: 1853; Registration Number: V18532712 39A. Birth 1824 Lillias Brown was born in 1824 at Lanarkshire, ScotlandG. Marriage circa 1843 Lillias was married to William Farthing circa 1843 at AustraliaG. Death 11 September 1901 Lillias Brown died on Wednesday, 11 September 1901 at Sydney, NSW, AustraliaG. Married Name 1843 As of circa 1843, her married name was Farthing. 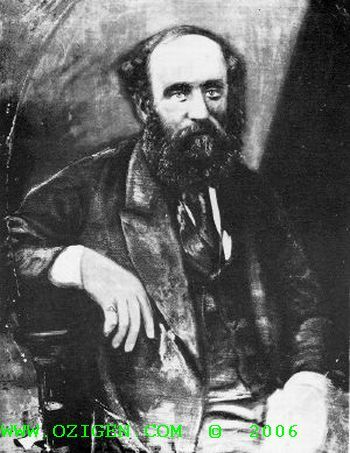 Birth 1823 John Brown was born in 1823 at Lanarkshire, ScotlandG. He was the son of Alexander Brown and Mary Hart. Death 1846 John Brown died in 1846. Birth 26 June 1827 Alexander Brown was born on Tuesday, 26 June 1827 at Lanarkshire, ScotlandG. Death 31 May 1877 Alexander Brown died on Thursday, 31 May 1877 at Maitland, NSW, AustraliaG, at age 49. Burial June 1877 He was buried in June 1877 at Presbyterian Cemetery, Maitland, NSW, AustraliaG.